Whether your business relies on frozen turkeys being delivered ahead of the Thanksgiving rush or candy arriving right on time for Halloween, refrigerated — also known as reefer — trailer refueling from Foster Fuels is critical to transporting goods in climate-controlled environments. So much depends on the precisely-timed delivery of goods these days. Add in the extra factor of those goods being perishable, and it’s clear they need to be transported in trailers with refrigeration capabilities. There’s simply no room for error when it comes to accessing refrigerated trailer fuel. If your reefer trailers run out of fuel, their refrigeration generators will shut down, resulting in the subsequent loss of goods on those trailers. Considering this, you obviously can’t afford anything less than the most trusted reefer trailer fueling services. Fortunately, fueling for refrigerated trailers does not have to be a hassle when you work with our dedicated team at Foster Fuels. To put it plainly, we’re not your average fuel company. 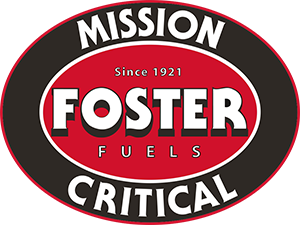 At Foster Fuels, we pride ourselves on being your complete fuel solution with an extensive nationwide network of coast-to-coast supply points and partnerships. Our numbers say it all: Each year, we’re entrusted to deliver more than 50 million gallons of fuel across the U.S.
Our guaranteed fast response time means we’re uniquely qualified to meet the demanding scheduling associated with fueling for refrigerated trailers. And if it’s on-site reefer fueling you want, we’re happy to accommodate your needs. A couple of common questions we regularly hear are, “What is reefer trailer fuel?” and, “Can I put reefer fuel in my truck?” The answer for anyone driving on our roadways is an emphatic, “You’d better not mix the two up!” The reason for this isn’t so much about the actual fuel, but more about the costly consequences you could face if you used reefer trailer fuel in your primary on-road diesel tanks. As you’re probably aware, on-road fuels — including both diesel and gasoline — are taxed. However, reefer trailer fuel, which can easily be identified by its distinct red color, is another form of diesel, and it’s considered an off-road fuel. Since off-road fuel isn’t taxed the same as on-road fuel, reefer fuel helps reduce the cost of operating a reefer trailer. But be warned: If a truck uses reefer trailer fuel in its primary engine tanks and gets caught, the fines for both the operator and trucking company are steep — potentially as much as $10,000 depending on the state where the infraction took place. The lesson to be learned about reefer trailer fueling is threefold. First, considering your temperature-sensitive cargo, you never want your reefer trailers’ generators to run out of fuel. But since using on-road fuel would incur higher costs, you also want to be sure you have regular access to high-quality off-road reefer trailer fuel. And lastly, to prevent any possible fines or troubles associated with mixing up on-road and off-road fuels, you want responsible refueling services whenever and wherever you need them. To learn more about any of our strategically reliable fueling solutions, including reefer trailer fuel services, fill out our brief contact form or call 800-344-6457 today.